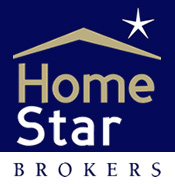 HomeStar Brokers - Multiple Offers! Multiple offers are becoming more commonplace in Salem and the Willamette valley. When competing in what’s known as a “bidding war” it is important to make your offer as strong and clean as possible. It should be the highest and best offer you are comfortable making. Ask yourself and the other parties involved in the purchase how willing you/they are in losing this property. Your offer should reflect that intention. It is common to hear agents talking about how close their buyer was to getting a deal put together on a home they loved but outside sources such as well intentioned friends and family members gave them advice that was not pertaining to this property or the current market. Make sure you seek competent advice and are solid in your understanding of the current market especially as it pertains to your price range. Your agent can provide statistics to help support your decision as well as their expertise from being out in the field day to day seeing fluctuations and market conditions.